After spending a decade cooking and entertaining for family and friends, founder and Hearty Catering owner, Evelyne Gharibian, decided to bring the fusion cuisine she loved to a broader audience and started Hearty Catering. 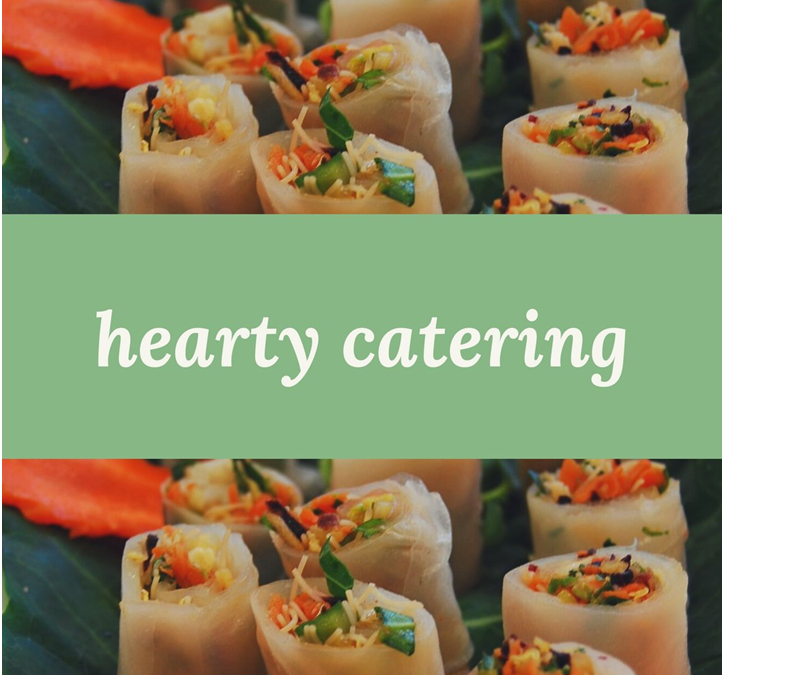 Hearty Catering started as a vegetarian catering operation, and has since grown to specialize in extraordinary meals that feature organic, local ingredients, including free-range and sustainable meat and seafood choices. They strive to meet all dietary needs, always focusing on fresh, local and high quality ingredients. Since their inception in 2005, Hearty Catering, including The Hearty Cafe, is one of the most dedicated food businesses in the Toronto area to healthy, nutritious food that not only nourishes their customers, but also respects and preserves the health of the environment and contributes to sustainable food system. At Hearty Catering, we respect our environment; how it nourishes our lives and what measures we must take for its protection. Our commitment is to offer nourishing, delicious cuisine that contributes to sustainable food systems and healthy communities. We honour this commitment to protect the environment through each phase of our food production and business practices. With an on-site garden supplying fresh produce during the growing season, Hearty Catering is a great example of hyper-local food movement in Ontario. Produce that cannot be sourced from the garden is carefully selected from local farmers and food distributors with organic sustainably grown food being preferred whenever possible. Furthermore, Hearty Catering adheres to a code of preparing only naturally and sustainably raised meats and seafood. As a result of their dedication, The Hearty Cafe was chosen to run an on-site cafeteria at then Canadian College of Nautropathic Medicine in 2010. Hearty Catering continuously re-evaluates their business practices and more so strengthening Ontario’s good food community with their focus on purchasing from organic and local farmers. I hope you have an opportunity to sample Hearty Catering’s exceptional cuisine! Signup for our newsletter to bring these updates right to your mailbox. Join the conversation on Facebook, Twitter, LinkedIn and share with your friends and colleagues.